Many today are enjoying the virtues of digital cameras. No more film to buy – no more film processing - no more trips to pick up prints – no more lost negatives and slides. Now you can see results instantly from the camera and view the results from the comfort of your PC, Smart Phone and even store them on the Internet. You can print your own prints - You can create photo albums either digitally online or hard copy using your own creativity. Plus, while connected to the Internet you can instantly email cherished moments to family and friends. How about those precious memories from the past - you know – those slides – where you needed a projector and a screen? How about those negatives with missing prints? You're curious what’s on the negatives but its difficult to view holding them up to the light. Until the rise of digital camera – it has not cost-effective to make prints from negatives using your PC. How about those prints – have you seen them lately? Are they starting to turn yellow – becoming cracked and faded? Are your slides losing their color as time goes by? It's not to late to stop and reverse the deterioration for future generations to ponder and enjoy! The future does not look good for these old film images. They are rotting away in boxes, yellowing scrapbooks, photo albums and slide trays. Your Time Machine is running out – unless you do something about it. Sure – you have had good intentions over the years – but you're finding out the hard way that film and photo paper have a limited life span. 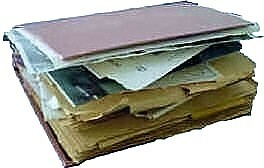 You’re leaning that it’s becoming more difficult to access - let alone - preserve these precious memories. Take for example slides. You want to share them with family and friends - you dig out the slide projector – put up the screen – load the trays – to find out the bulb is burnt out! You then notice your slides and pictures are not in any order. You have been meaning to take the time to organize them but there never seems to be enough time to do it. You want to pass you photos on someday but your concerned they won’t have much value if your family doesn't know the story behind what and/or who is in the picture – such that the grand children won’t have a clue or memory about you when they grow up. Today, with your digital camera and ShotCopy you can ‘bring your past to the future for your family, friends and even future generations to enjoy and ponder. That’s right – for the first time in recorded history you can leave a family legacy for generations to enjoy. Once you copy your slides, negatives and prints to digital images using ShotCopy you will have photos which are now accessible from your PC or the Internet to creating a living photo album with voice and music to tell your story. How valuable is your family heritage? How about all those pictures you have stored away as slides, negatives and prints? What would happen if there was a fire or flood? Could you recovery your photographic memories from other family members? How about your children? How are you planning to share their childhood memories and their memories of you as your children become older with families of their own ? We are so confident that you will love ShotCopy that we offer you a 30 Day Money Back Guarantee of your purchase price (less shipping and handling) if you are not completely satisfied with your ShotCopy. We want you to try and see for yourself the value of ShotCopy so you will tell your friends about us. If you decide to return your ShotCopy, just e-mail us at "returns@shotcopy.com" and ask for an RMA# (Return Merchandise Authorization Number) and we will refund your money (less shipping and handling) the same day the item is returned. No questions asked. You have nothing to lose by trying ShotCopy for yourself today.